Young children who are obese have a six times risk factor for developing high blood pressure, specialist doctors believe. High blood pressure can lead to significant and potentially deadly health complications in adulthood, including heart disease. The most at-risk group is obese girls, who are 5.9 times as likely to have high blood pressure in adulthood compared to their peers at a healthier weight. Boys risk four times the chance of developing high blood pressure if they are obese. Data used to create the recent specialist warnings was sourced from a new German study that studied teenagers and young children with obesity who developed high blood pressure in adulthood. Doctors claim that the high likelihood of obese people developing unhealthy blood pressure is closely linked to eating habits formed in childhood. UK-based GPs have warned that easily accessible junk food puts the current generation at risk. The family Heart Study, which was carried out in Nuremberg, Germany, shows that obesity significantly increases the risk of developing blood pressure, even in young children. 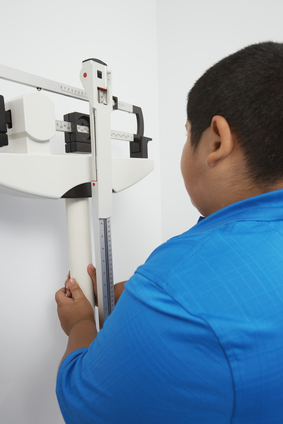 18.6% of obese children involved in the study had high blood pressure. This worrying statistic compares to a slightly lower 10.4% of overweight boys and just 5.7% of boys with a healthy weight. An astonishing 24.4% of all obese girls that took part in the study were found to have hypertension, compared to 5% of girls at normal weights. Doctors have stressed the importance of developing healthy eating habits during childhood and avoiding high-fat, high-sugar foods that can contribute to serious medical conditions such as high blood pressure and heart disease.